What a cliffhanger, what a nailbiter ; the EU and the Eurozone members ultimately decided at the very 'last minute' that the Eurozone will "NOT" come undone yet !!! This past week the leaders of the Eurozone stared directly into the 'Greek Debt Abyss' and and I'm pretty sure that it all sent 'chills down their spines' as they contemplated and feared that a 'financial black hole' in Athens could drag down the entire Eurozone currency area and that could ultimately end up being even more expensive than giving Greece a 'third bail out' ! The 'blunt truth' of what we just all witnessed was that "NO" EU leader wanted to be held responsible for the fallout of what could have happened if Greece abandoned the Eurozone. According to the EU news wires it was the 'last minute' move by Donald Tusk; the President of the European Council which averted the exit and the collapse of Greece in the Eurozone. Mr. Tusk 'rose to the occasion' and at the very last minute when the Germans and Tsipras had given up on each other after several months of 'marathon talks' it all appeared that a 'Grexit' was the only option left on the table. When it all appeared useless and futile; Mr.Tusk at the very last minute stated that "NO" one was leaving the room until an accord was reached !!! Most EU leaders felt that a 'domino effect' would occur if they allowed Greece to fail on their watch and they sure didn't want to find out the 'unpredictable consequences' that could have affected the $Euro if Greece abandoned the Eurozone !!! Oh, Holy Spirit; set this your servant on fire for these 'dark times' that are upon us; what a time to be alive on planet Earth ! This student of Bible Prophecy doesn't believe that it was a mere coincidence that the talks with Greece and Iran ( two modern nations who were a part of 2 of the 4 Beasts of Daniel *) were finalized in the same week after several years and months of dealings !!! As this student of Bible Prophecy was analyzing everything that was happening and that had to do with the 'Greek Default' I couldn't help but notice several political and financial cracks beginning to show themselves in the Eurozone. The first of these was that most of the southern members of the Eurozone happen to be socialist countries and the northern members happen to be the opposite; with much healthier economies. It is still too early to try and affirm who the final 10 'Iron and Clay' toes of the statue of Nebuchadneezar mentioned by the prophet Daniel will ultimately end up being. It is still possible that the final 10 will end up being produced by the final version of the European Union or by the Mediterranean Union !!! 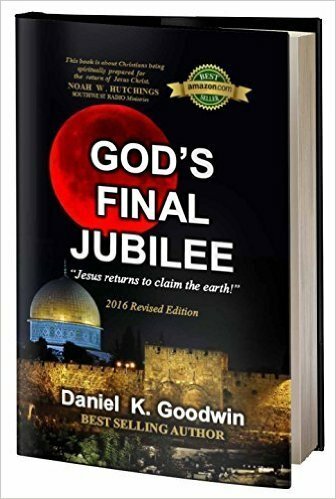 We are indeed in the final phase of it all; because its been a while since Israel's rebirth in 1948 and all 4 Beasts of Daniel have 'arisen and fallen' with the exception of the second and final phase of the 4th Roman Beast of 10 !!! Meanwhile; Iran is getting ready, Russia is getting ready and so is Satan for he knows that his time as the 'god of this world' is getting ever, ever shorter and quickly coming to the precipice of his end !!! 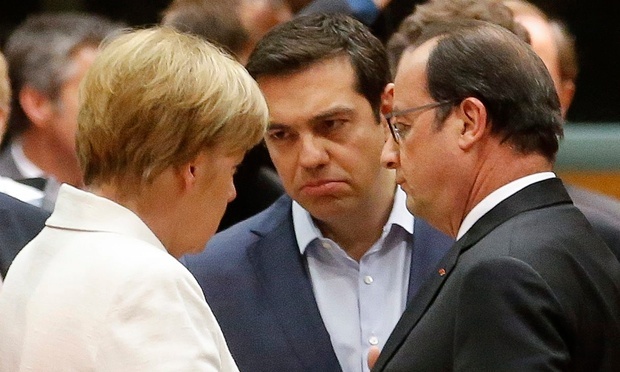 For all the 'hoopla' surrounding this past weeks 'Greek Crisis' Mr.Tsipras lost & blinked first ! Mr. Tsipras returns back to Athens having to take back all the promises the Syriza Party made when he was elected; in fact it appears that when all is said and done Mr.Tsipras in fact made things worse for his fellow Greek voters because the austerity measures and taxes that are coming to the shores of Greece appear to be even greater than when he took office ! What we can all learn from the 'Greek Crisis' is that the stronger ( Iron ) northern economies of the EU and the Eurozone are different and way 'better off' economically than the economies of the southern Euro members ( Clay ). Even though Greece and the other poorer EU Mediterranean economies share various things with their northern European allies everyone could take notice that these are not cleaving to one another as the original founders of the EU and the Eurozone had initially hoped; the philosophies of the Greeks are vastly different from those of Germany. For all intensive purposes, Tsipras did not make any better of a deal with the Eurozone and the IMF than his predecessors; as his Socialist-Communist Syriza Party had promised !!! Greece is still pretty much in debt and the Greek referendum served no great purpose. The Eurozone is extending a 'lifesaver' to the Greek's once again, this will be the third bailout and every Eurozone member knows that once again they are just all 'kicking the can' further down the road, because Greece will never be able to repay these huge mounting debts !!! In the meantime the EU and the Eurozone are all just buying more time to try and solve all these cracks in the Euro that threaten to dismantle the Eurozone and the EU altogether. The EU and Eurozone members had never considered the possibility of an exit in the beginning of any joining member and the truth is that they don't want to find out what will and can happen if Greece or any other Eurozone country ever exits !!! What we should all also learn from this financial crisis is that most of the global currencies are no longer backed by gold. Most of the world's largest economies are creating money literally out of thin air and printing 'digital currency' that really has nothing to back it up. According to the Biblical Prophecies several global economic collapses are coming and they will "NOT" be limited to the Eurozone and Greece. Before the invention of money people "BARTERED" and that's exactly how most of those who will enter the Tribulation period will have to do especially if they want to avoid the 'Mark of the Beast' and survive !!! This student of Bible Prophecy knows that several things "MUST" take place first before the final Ten King's of Revelation rise to power near the Mediterranean. 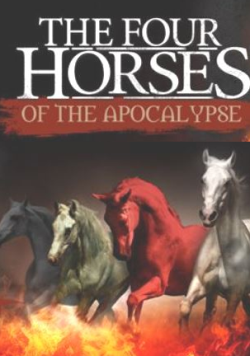 According to the chronology of the Book of Revelation the final 10 King's receive power together with the Beast for only "One Hour" ( 42 months ). The Rapture must happen first and so must the Russian attack on Israel as well as the fall and decline of the United States. Some teachers of Bible Prophecy in the past had been erroneously teaching that the "Little Horn" could not and would not rise to power until and after the 10 King's rose to power "BUT" they had made the mistake of ignoring the fact that this same future and endtimes 'individual' will initially rise to great global prominence when "He Confirms the Covenant with the Many" for 7 years. It is only during the final 42 months that he ( the Little Horn ) receives great unholy and supernatural powers given to him by none other than Satan the Prince of darkness !! !....As this servant of Jesus Christ was observing this Greek Crisis I couldn't help but think that the 'Little Horn' was too somewhere else in the world and that he was learning and studying all the mistakes that the Greece's Tsipras made. We are all running out of time, the 'Times of the Gentiles' is on its' last legs so to speak. We are all witnessing the final encarnation of the "4th and Final Roman Beast" The European Union will be shaken to its' core in the future and so will the rest of the nations of this planet. According to Bible Prophecy several wars are coming that will precede the final Battle of Armageddon and believe this poor servant of GOD these coming wars will go nuclear !! !...If you're getting too comfortable and cozy with the things of this world I've got bad news for you, but if you've been 'Watching and Praying' you too know and sense that we are indeed the final generation that will witness some of the beginning of the end. 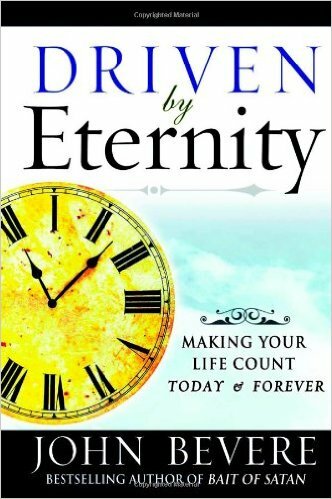 While the rich and powerful of this world are naively making plans for the next 30 years the Biblical truth is that we don't have 30 more years. As this student of Bible Prophecy studies the Book of Revelation over and over again; I can't ignore the fact that we never get to conquer nor escape Earth and colonize another planet. The Book of Revelation guarantees that the leaders of this world will try to hide in the mountains of this planet when the great judgements of GOD ALMIGHTY fall upon all those who ignored and rejected the Message of the Eternal Gospel of Jesus Christ. 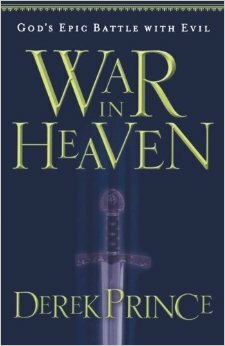 Science fiction movies and books predict that we will one day colonize this Universe "BUT" according to the Book of Revelation that will "NEVER" happen, the powers of this world will ultimately end up fighting for the limited resources of this planet once the final 7 year Tribulation begins !!! This student of Bible Prophecy believes that Greece will ultimately be 'One of the three of the final Ten Horns' that will be uprooted in the future. What just transpired in the European Union and the Eurozone this week was the European's simply delaying the total and inevitable collapse of one of their own : Greece. 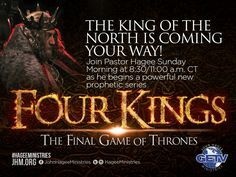 This student of Bible Prophecy has "NEVER" accepted the belief that the final 10 King's of Revelation will be produced by the world being carved up into 10 global regions. First of all such an erroneous interpretation contradicts what we know about the 4th Beast. All four Beasts of Daniel were "REGIONAL Mediterranean" powers in their time who rose from the Mediterranean region and came to militarily conquer Israel. The United Nations headquarters will be destroyed in the future according to Revelation 12 by a giant Tsunami that will strike what will be left over of New York City in the endtimes. The UN was useless in Rwanda, what makes you believe that when all hell breaks loose upon planet Earth they will ever be in a position to help anybody especially when the 2nd Horsemen of the Apocalypse takes peace away from the earth and makes men slay one another !!! The end is "NOT" yet Germany's Angela Merkel must first be out of office and the USA must decrease its global prominence before the final 10 King's of Revelation rise to power but it sure is ever getting closer and closer !!! By : Mari Romano, this servant of Jesus Christ is "NO" Prophet, he is just trying to be one of the endtimes 'wise men' who interprets and understands the Prophecies given unto the Prophet Daniel for these our endtimes...This insignificant human being is in awe of the GOD and CREATOR who created the 'little ant' and the 'giant dinosaur' and this servant of GOD knows that with GOD all things are possible and that to GOD ALMIGHTY nothing is impossible !! !